There are currently 95,195 users on this website. Found CRH today. Looks to be a couple nice Rim Cuds next to each other. The reverse picture wouldn't upload for me today, so sorry about that! The obverse is all that is really needed for this one though. Thanks for taking a look! Cool find! That collar appears to be starting to break down. I don't think so. Not sure what you would call that but I don't think it's a cud. 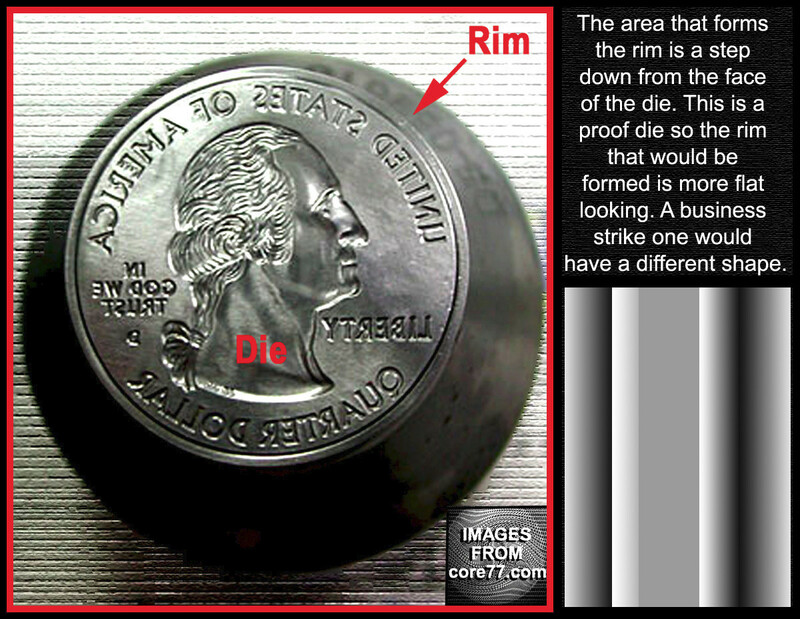 A cud on a coin is a damaged area resembling a blob on the surface of a coin. The cud is raised above the field, and it obliterates the device or inscription where it appears. Cuds are the result of die cracks or die breaks which have become severe. Thanks to you both! USSID18, some rim cuds look like this I believe. 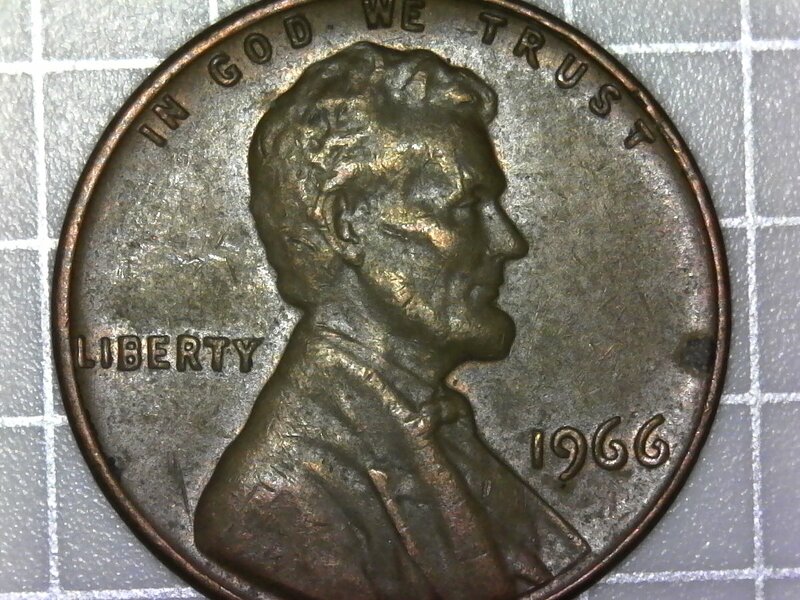 If you look at cuds for Lincoln cents on cud's-on-coins you might find some like mine. Thanks again! Not sure if it is a rim CUD,or a folded over rim fin. It maybe grease on the lip of the rim gutter of the die. 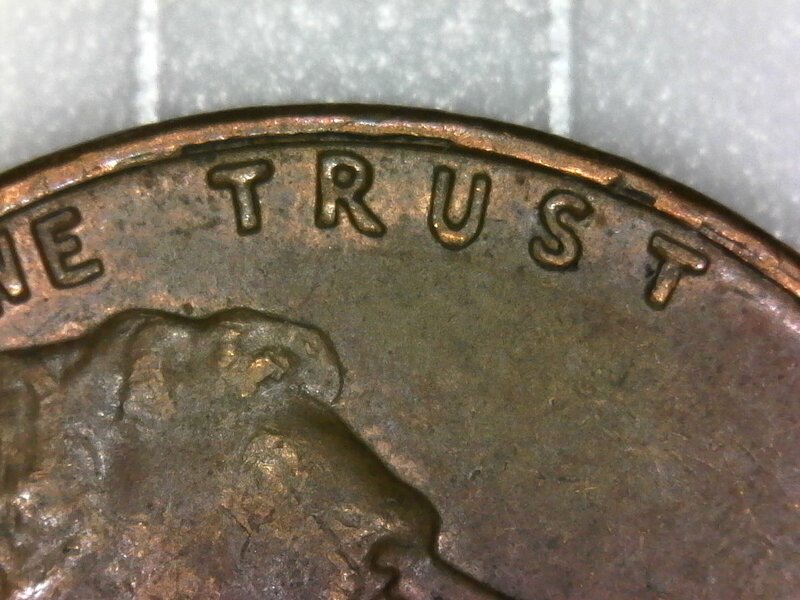 This would block out the coin forming the sharper edge in that area? Thanks everyone! So I'm looking at either a grease problem or a rim fin? I guess I'll be throwing this one back. Thanks! It took 0.99 seconds to rattle this change.